Don’t miss an event near you! 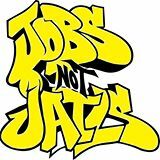 Wednesday, April 2nd 6 p.m.
Saturday, April 5, 2014 2-4 p.m.
at Freedom House in Grove Hall, 14 Crawford St.
Friday, April 11th 7 a.m. – 8:30 a.m.
Join BWA in a Jobs NOT Jails Visibility Party at Ruggles Station! Tuesday, April 15th 7 a.m. – 8:30 a.m.
Join BWA in a Jobs NOT Jails Visibility Party at Dudley Station!